Extrusion and injection mold machines can benefit from precision CVD coatings to prevent damage to molds or extruders. Outgassing, moisture acidity, and abrasive wear can take their toll on mold quality and result in costly replacement or repair. 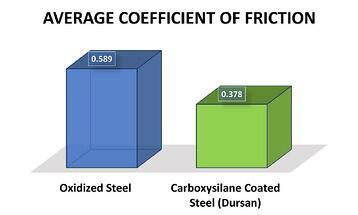 SilcoTek® coatings offer greater wear resistance while reducing friction and improving corrosion resistance. Become an injection mold coating expert! Learn how to improve mold performance and durability and reduce process cost. Better wear resistance for higher durability, and erosion prevention. Higher lubricity to improve operation of moving cores and slides and improved resin flow for reduced energy cost and wear. Prevents contamination by oxidation by products in medical and electronic applications. A change in our luminescent release agent rainbow finish signals a loss of coating. Visual inspection of the surface signals coating loss without precision measurement. Mold complexity does not significantly impact coating price. Eliminate Diamond finish release problems by improving surface lubricity. Our low surface energy (high contact angle) surface combined with a low coefficient of friction improve mold flow and release. 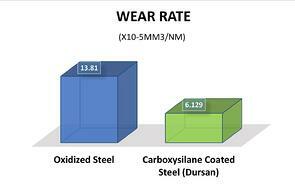 Comparative testing shows the Dursan® coated surface improves lubricity by 36% over stainless steel while reducing surface energy by up to 8x. Get more information about extrusion and release agent coatings. Our unique CVD silicon coatings improve mold release, reduce outgassing, and prevent corrosion. 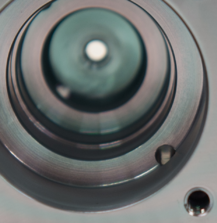 Our high tolerance coatings offer sub micron uniformity, even in precision or finely detailed molds. Learn how to improve mold durability and reduce process cost. 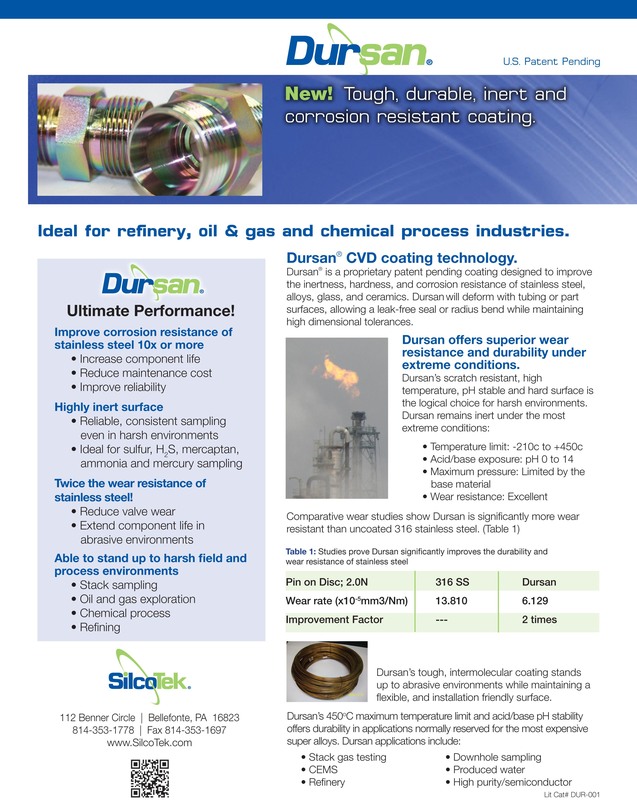 Comparative pin-on-disk wear and friction testing shows the Dursan® coated surface reduces wear by over 50% compared to uncoated stainless steel.